Starting in Search Marketing ? Beyond ensuring and optimizing your online presence on search engines, Search Marketing is an indispensable tool that allows you to develop your commercial activity and visibility via an efficient search engine optimization (SEO) strategy. Need help? Whatever your knowledge or needs (customer loyalty, online visibility, advertising investments, etc.) we will be there to assist you in defining, developing, and establishing the best search engine advertising (SEA) strategy. Whether you’re looking to: drive traffic to your website or get more people to visit your establishment; boost online sales; get the phone ringing off the hook; or build customer loyalty, Atomic Search’s team of experts will help you develop and increase your business activity. Target your clientele geographically, based on key towns, regions or countries; or within a set distance from your establishment. Together, we will figure out the best way for you to reach out to your existing and potential customer base. Make sure your business is one of the first links to pop up on Google search, and at the exact moment people are looking to find out more about the products or the services that you offer. You will only be charged a fee once your advert captures internet users’ attention. Signing up to a search engine and having your adverts appear online is free of charge. You will only be required to pay a fee once somebody actually clicks on your advert and visits your website; or if someone calls you after seeing your advert online. What’s more, you will not have to commit to a set budget or a time frame beforehand. 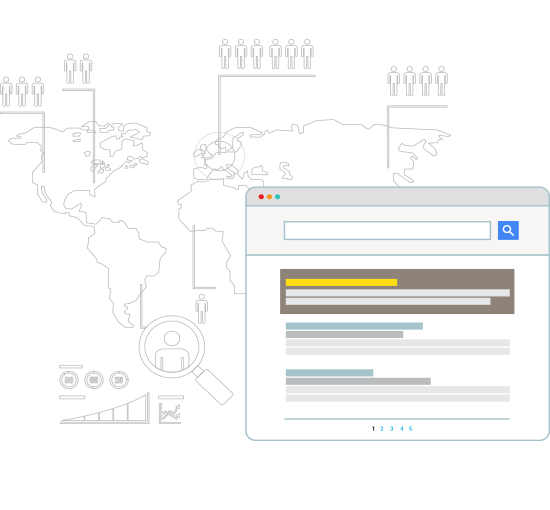 Atomic Search has the expert skill set and knowledge needed to help you improve the profitability of your online investments. We maximize your presence online and add value to every advertising space that you purchase. Our consulting team is made up of online advertising experts that have been through rigorous training programs, led by top market leaders. Looking to develop a successful online advertising campaign all by yourself? Avoid making rookie mistakes that will cost you both money and time. Learn the tricks of the trade via our tailored training program (available under OPCA/DIF funding), alongside a qualified consultant. Apply the winning strategies according to your objectives and optimize your budget.